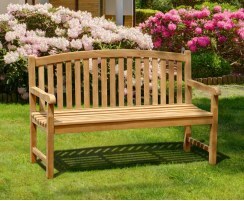 Shop from our range of Clivedon benches, featuring a charming and classic design but with a curved backrest for a slight update on the traditionally-styled garden bench. 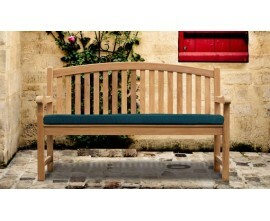 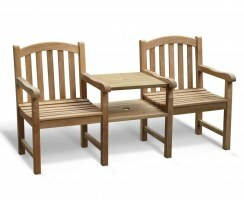 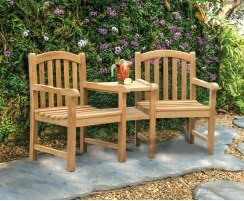 These grade-A teak garden benches offer superior comfort and style, and would look great in any outside setting. 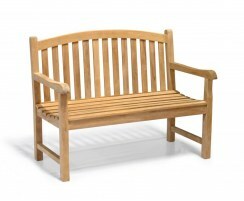 Our Clivedon garden benches have been expertly manufactured from durable, sustainable grade-A teak using traditional mortise and tenon joints, teak dowels and weatherproof glues and then sanded to a sleek, smooth finish. 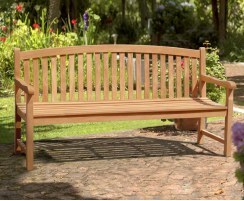 Designed to withstand whatever the elements can throw at them, our Clivedon outdoor benches will be a stunning focal point in your outside space for decades to come, as well as a comfy seating solution for you and your guests, of course!